A plan to deliver the first social houses available to rent in Arkengarthdale in the Upper Dales has come up against barriers from Homes England, said Councillor John Blackie. Picture by Simon Hulme. The public body responsible for funding new affordable housing has been accused of blocking a landmark scheme designed to arrest the exodus of young people from the Yorkshire Dales. The Upper Dales Community Land Trust said it feared the inflexibility of Homes England over a plan to build affordable homes for rent in Arkengarthdale in the National Park could lead to “a complete collapse” of the dale’s community. 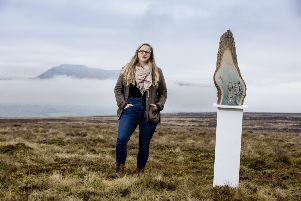 As reported in The Yorkshire Post on Saturday, the average cost of a home in parts of the National Park is now more than £235,000 – nearly 10 times average earnings - and leaders have vowed to deliver a new action plan to address young people leaving the Dales. The houses in Arkengarthdale would be the first social houses available to rent in the dale, where an urgent need for homes for young local people who have been “priced out of the area” by second home owners has been identified. The trust said with planning approval, a charity bank loan and a grant from Richmondshire District Council in place, building work would have begun in June, and a £240,000 contribution from Homes England’s Community Housing Fund, should have been simple to secure. Upper Dales North Yorkshire County councillor John Blackie said Homes England had insisted the trust became a registered social housing provider or to partner with one but that the former action would take a year. The other option would mean partnering with Richmondshire District Council and so the scheme would no longer be in the community’s remit. A Homes England spokeswoman said the Community Housing Fund was helping to increase housing supply across England. She said providers are legally required to act as landlords when homes are delivered through the fund for rent, and that groups are encouraged to partner with a registered provider if they cannot meet the criteria on their own. The feasibility of a Yorkshire Dales-wide trust to make community-owned housing a more achievable proposition in the National Park is set to be investigated as part of the new action plan for the Dales.